Does your art website have a return policy? The specifics of your policy are entirely up to you (as long as it’s legal, see some resources on legality below.) 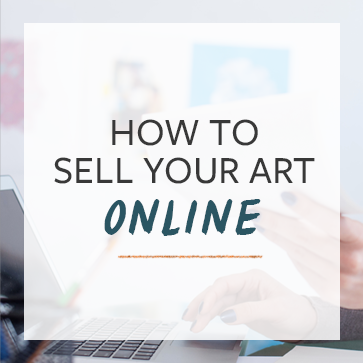 Whether or not you decide to accept returned art, you’ll need to know how to write a return policy for your art business that will protect you and your art and keep your collectors happy. 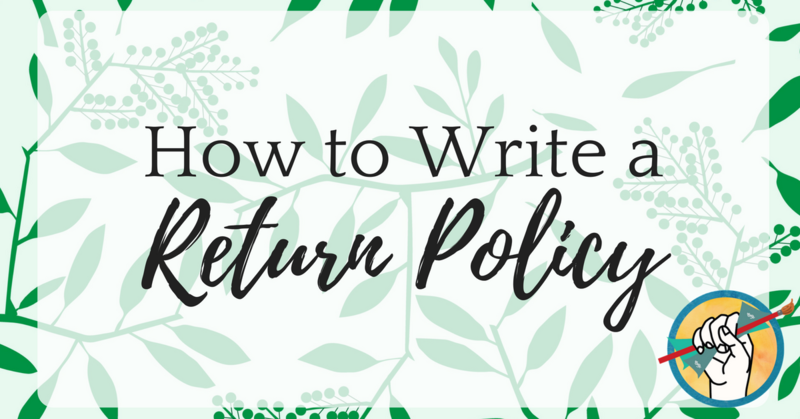 As you embark on writing your return policy, consider whether you should accept returns, decide on the specifics, and then enact some practices in your business to ensure you have to deal with as few returns as possible. As you decide whether you should accept returns, consider the value of your pieces as well as how much (on average) they cost you to create and ship. If a piece arrives to a customer in damaged condition, will it be worth it to you to ask them to send it back? Can your work be repaired if damaged? If the piece took a great deal of time to create and/or could be resold, you should accept the return. What if a customer receives a piece and decides that it doesn’t work in their space? It may be tempting to refuse returns for undamaged art. Consider your relationship with this particular person- do you want to keep them as a collector? The answer doesn’t always have to be yes, by the way. If someone is toxic or a huge pain, it’s okay to thank them for their business and send them on their way. If the answer is yes, it’s important to you to keep them as a collector, then make sure you have a policy in place that protects your business and will also keep collectors returning to you for the beautiful art and the pleasant and professional experience. Consider the nature of your work: the size, the materials, and the value, and consider the most likely scenarios in which it may need to be returned (or which you have already experienced). Write your policy accordingly. This doesn’t have to be a lengthy Terms & Conditions page, but to protect your business and your reputation it’s important to have your policy written out clearly in an easy-to-find place on your website. Will you ever offer a refund or partial refund without a return? If this practice would ever make sense for your business (for example, if a small and inexpensive piece arrived damaged, you may offer a partial or full refund and allow the collector to keep the piece rather than go through the headache of returning it), be sure to clarify it in your policy. Returning artwork is a hassle, and if you don’t spell it out clearly it’s likely that an unhappy customer may simply demand a refund without a return. Will you refund shipping costs or cover return shipping? Whatever you decide, write this clearly into your policy. The customer will likely assume that if you accept returns, they will not have to pay to return a piece. If your policy is otherwise you will need to make it clear. For what length of time will you accept returns? Most retail stores operate on a 30, 60, or 90 day return policy. For a small business with limited cash flow, a shorter amount of time is a safer bet to ensure that refundable money isn’t accidentally spent. Also consider requesting that returns include tracking information and possibly insurance if the piece of highly valuable, and clarify that you will issue refunds upon safe receipt of the piece. Once you have a return policy written, adopt business practices that will protect you from the need to give refunds and accept returns. Consider offering installation services or consultations. If it’s a local collector, you can offer to bring the piece to them and let them try it out in their space. This would only be worth your time if it’s an expensive piece. If you want to offer consultations, factor the cost of your time and travel into the cost of the piece. Mixed-media artist John Kraft offers installation and believes that it does wonders for an artist’s professionalism. He chats with us about it on The Abundant Artist podcast- check it out here. Make sure you’re packing and shipping your art safely. Research the safest way to ship your art, and take every necessary precaution to make sure that it arrives at its destination safely. Read this blog post with a video guide on how to safely package your art. Let them preview your art on a wall. There are a lot of apps out there, both free and paid, that allow you to preview your art in a furnished space. This is an excellent option to offer potential collectors that can not only protect you from returns, but can help you make more sales! Make sure photos of your art are high quality. Take good photographs of your work as you’re listing it on your website to ensure that collectors will know exactly what they’re receiving. We created a sample return policy you can copy/paste into your own website. Get it in the Free Resource Library. My web designer wants me to cut/paste a returns policy. I note in your template that shipping label will be paid and forwarded but then states shipping fees are nonrefundable. Is this possible or a variety of suggestions? This is marvelous & profound. I like your articles.